Login to your account and expand the Box Settings section in the lower right corner. Click the "Moderate Board" link under the "Voting and Discussion" heading (note: this link is only available after you've enabled Voting and Discussion). 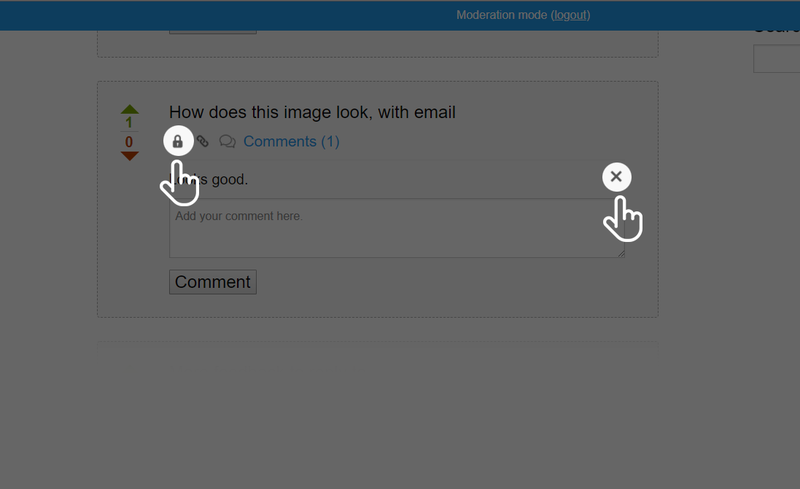 Lock or unlock a voting and discussion item by clicking the lock or unlock icon once. Locking an item disallows voting and discussion but still allows people to view past vote counts and comments. 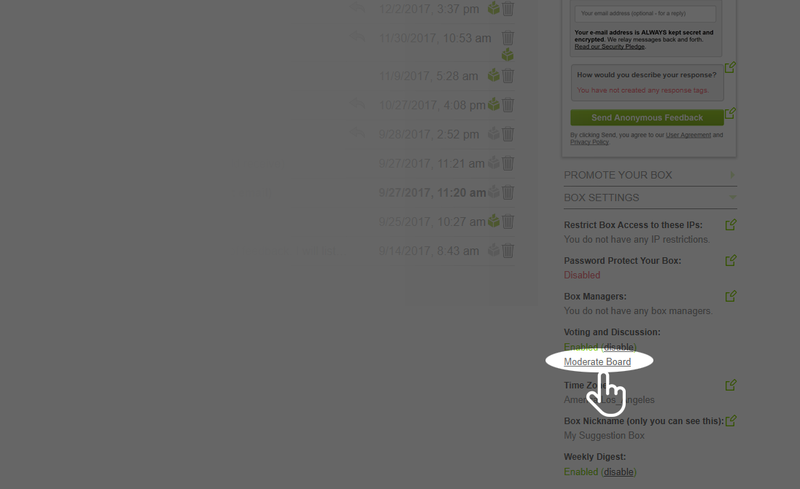 To remove an item entirely from voting and discussion, return to your dashboard and click the "ballot" icon beside it. Delete a comment. Simply click the "X" icon beside the comment to immediately delete it.